i confess, dear reader, that by reading this you have become my new test subject: the specimen is biting back. i speak not of this poem, but of the memory of it-—the parallel worlds your mind will inhabit, patching together my every image in your universe of perception (56). From this moment, our own complicity as readers is made visibly evident. By observing the unraveling of trauma, we have also taken part in its construction. I begin with the post-script because it is a place of unintentional documentation. The refrains “i want to write,” “i mean to say,” and “i confess,” frantically disrupt the language of history. The repeated emphasis on a first person speaker unsettles the voice of remembrance and instead allows room for parallel realities that rely on memory-making as a mode of hegemonic resistance. 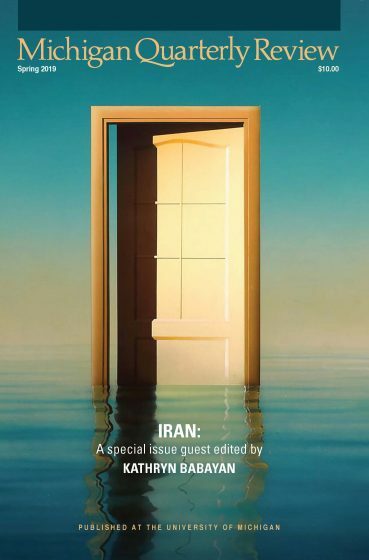 The universes of the poem will always contain “a Palestine with children laughing” and never name the “men [who] have turned entire countries into test subjects without their consent” (56). By attaching universes to the poem, the poet suspends their reliance on a normative historical narrative and instead releases the poem to exist in an infinite number of worlds. In these worlds, we realize that as readers, we have been trained to see the Palestinian/queer body struck-through in every title, enacting a kind of violent erasure through form. The poet tests our ability to read what is otherwise rendered illegible. The naming of the body as Palestinian/queer is not only illegible, but non-productive. Language itself becomes queer. Here, translation becomes a queering of language, a non-normative mode of reading. The translation itself is also non-productive; it does not offer a new language, it simply rearranges one. The brackets visually demarcate the territory of the translated words, such that they do not extend outside the body of their lines. In some ways, to be Palestinian is to inhabit this bracketed body deemed imaginary and to queer it through language, imagination, and memory. In The Specimen’s Apology, George Abraham does not attempt to erase the erasures but rather to inhabit the intimacy of worlds that are, in their mistranslation, profoundly familiar. 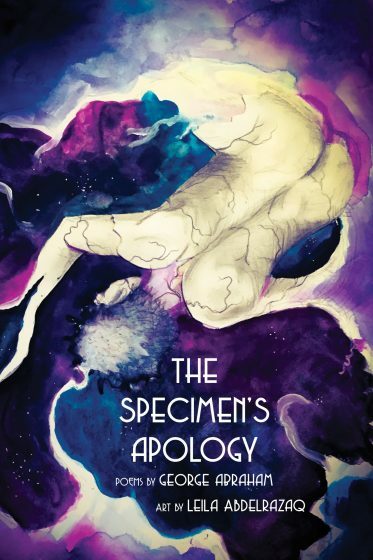 The Specimen’s Apology, by George Abraham, is available to purchase from Sibling Rivalry Press. Joumana Altallal was born in Baghdad to Iraqi and Lebanese parents. She is currently a first-year MFA candidate in poetry at the University of Michigan. She works with Citywide Poets to lead an after-school poetry program for high school students in Metro Detroit. Her work appears in the Virginia Literary Review, Mikrokosmos, and Poets Reading the News, among others.